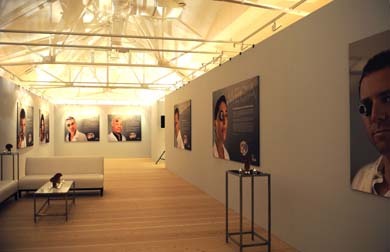 Top The Saatchi Gallery with the new Omega advertisements up. Centre Cindy Crawford. Above George Clooney. 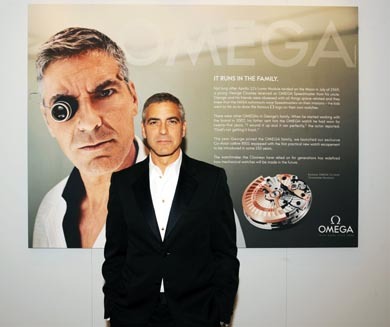 Cindy Crawford, George Clooney and other celebs rushed from the première of Roald Dahl’s Fabulous Mr Fox to attend the launch of an Omega advertising campaign which features them. Still wearing their evening gear from the première, the stars headed to the launch on October 14. Lucire has images from the launch and from the following day’s Omega events in London, with supermodel Cindy Crawford, on the main part of the site. The above are extra images which we chose to feature here.